Above the law? An article about CEO Eric Daniels and buying a bankrupt HBOS for more than the pound t was worth. Share the info, find out where and how they’re spending the country’s money and screwing the nation for it. Don’t take this the wrong way, but I actually settled down to watch BBC Parliament yesterday. It was the Finance Select Committee asking questions of Eric Daniels the CEO of the Lloyds Banking Group. With a cup of black coffee and a sandwich, I listened with opened mouthed incredulity at what was being said. Now Mr Daniels I have to say deserves his job. Not for his business acumen (that is in severe doubt) but for a sphinx like demeanour and general coolness under fire that was quite impressive. However let’s get down to brass tacks. HBOS was a basket case when the Treasury approached Lloyds, which was in relatively fine fettle. It was clear from the questioning from a Labour MP, whose name currently escapes me, that the Government and Treasury had got to the stage were HBOS was getting to the point where a decision had to be made not to accept any further business. That would have precipitated another catastrophic run like Northern Rock. Daniels was constantly pressed on whether he was told this information directly by the Treasury. He did not give a straight answer. He repeated a mantra that ‘he was made aware of the serious nature of the situation’. Being a simple sort of lad, this seemed to me to require an answer- yes or no. The Treasury appears not to have passed this information on and Daniels did not ask the question. We appear to have two sides not applying the KISS principle (Keep It Simple Stupid), everybody being too busy being very clever and urbane whilst playing with other peoples’ money. The Treasury with ours, Daniels with Lloyds shareholders. Then came the point of due diligence. Despite there being ‘a serious situation’, this is where HBOS was about to close is doors to new business (bankrupt) Daniels and his team did ‘ the appropriate amount’ of due diligence (prior legal briefing) this was admitted as being around 25%-50% of what was required in the ‘time allowed’. 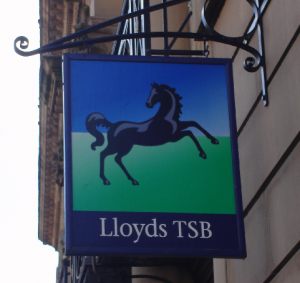 Lloyds then ‘valued’ the shares of HBOS at £2.38 a share and Daniels admitted in making this valuation to shareholders. He omitted though to mention the small fact that HBOS was being propped up with a Treasury loan of £25.4 bn. The Banking Act 2009 made it possible for the Treasury and Bank of England to keep secret funding assistance in cases where financial stability may be put at risk – introduced in the wake of the run on Northern Rock. As I said I am a very simple sort of person. It appears to me that HBOS was bust, and Lloyds could have picked up the whole caboodle for £1, as did ING buying Barings after Nick Leeson and the Directors had finished it off. Who hood-winked who here? Daniels was adamant that nobody from the Treasury had hoodwinked him, and he had not hoodwinked his shareholders. It is clear what Brown, Darling and the Treasury were getting out of this deal, a get out of jail free card that staved off the collapse of the Labour Government and possibly the end of the Labour Movement. However, what did Daniels hope to get out of this ? That is the question I would have asked. His reputation is tainted, and why he has not been removed by the shareholders is a mystery to me. Unfortunately Daniels was saved by the inane twitterings of Sally Keeble MP, who asked a sixth form question about why small businesses cannot get loans from Lloyds. Watching her ask a question was like watching teenager who wanted to be taken seriously in a room full of adults. She must have been asleep when it was being explained that her Government had induced a solvent bank, to take on a bankrupt bank, propped up by a £25.4bn of tax payers’ money at £2.38 a share and that deal had rendered Lloyds insolvent. With us as the taxpayer owning a large chunk of the combined group. The only thing saved here was the Governments neck. The rest of us have been hood-winked, as have our children and grandchildren who have to pay to sort this out in higher taxes and reduced standard of living. This Rotten Parliament has only months to run, it should be consigned to the dustbin of History.